Lucy’s back—and this time, her plans including saving Sherman and Sherman’s natural habitat. Lucy loves her best friend, a giant lobster named Sherman. Together they swim, splash, and blurble at their beloved beach. That is, until Lucy finds Sherman tangled and twisted in old fishing line. With a lot of persistence, a little help from Grandpa, and a big bucket, Lucy gets her friend to the local Marine Life Center. But their watery woes don’t end there. 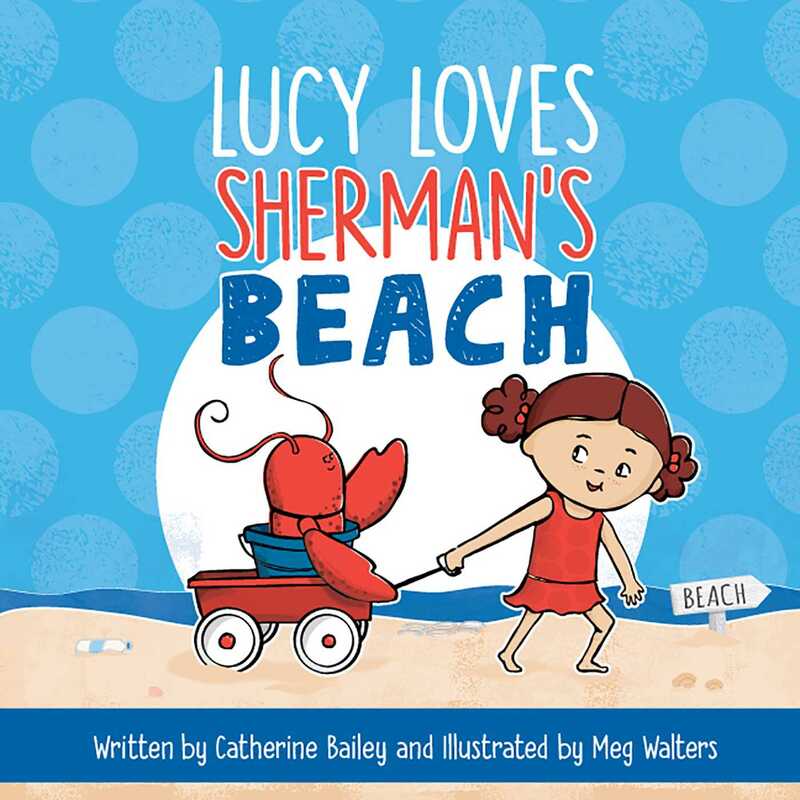 Lucy soon discovers that “Sherman’s Beach” is awash in pollution. From littered sand to trash in the sea, this problem is much larger than her crustacean companion (and he’s HUGE!). That is when playtime turns to save-the-day time. Armed with a megaphone, a few posters and—most importantly—her unwavering spunkiness, Lucy is “shore” she can fix this mess. Will her clever plans and plucky spirit be enough to turn the tide and rescue her friend’s home? Or will Sherman have to head for safer waters? Catherine Bailey&rsquo;s prior job titles include lawyer (interesting), sailboat deckhand (fun but occasionally sea-sick-y), and Cartoon Network intern (best job ever, besides writing). Her hobbies include reading, 1980s movies, and travel. She&rsquo;s the author of the picture books Mind Your Monsters, Hypnosis Harry, and Lucy Loves Sherman. She lives in Stuart, Florida, with her husband and two children. Meg Walters grew up in Rochester, New York, and is an illustrator and designer who received her degree in illustration from Syracuse University. She is a member of SCBWI. Like Lucy, Meg adores polka pots and loves special lobsters, not lobster specials. She lives in Gladstone, New Jersey, with her family and her yellow dog.